*Area, Population and Density rankings refer to Shelburne’s relative position among Vermont’s 255 civic entities (9 cities, 242 towns, 4 gores and grants). Complete rankings are here. 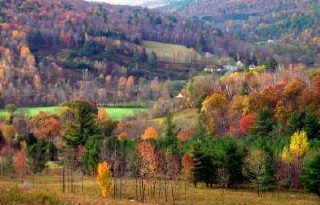 Located on the shores of Lake Champlain in southwest Chittenden County (just a few minutes south of Burlington), Shelburne is a treasure trove for everyone from history buff to SCUBA diver. The name was chosen to honor a celebrated nobleman and member of the British Parliament, William Fitzmaurice Petty, Second Earl of Shelburne. The town was to have been a little over 36 square miles in area, but a blunder on the part of the surveyors (probably due to a lack of sobriety) deprived the town of over fourteen square miles to its current size. 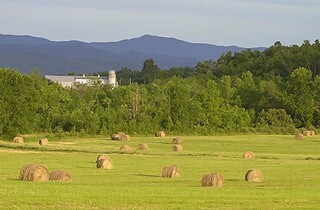 Shelburne’s economy has been based on farming from the beginning. The clearing of land and the burning of trees brought a short-lived potash boom to the area during early settlement. In the 19th Century, a gristmill, a sawmill, a carding and fulling mill and a blacksmith shop sprang up along the rushing LaPlatte River at Shelburne Falls. Sheep raising and fruit orchards became popular methods of farming, with some 17,740 fruit-bearing trees by 1880. After the War of 1812, lake commerce surged. The Champlain Transportation Company established a shipyard at Shelburne Harbor and launched the “General Green,” the first of ten proud steamships to call Lake Champlain home between 1825 and 1905, the last two of which can still be found in New England. The “Mount Washington” (still in service on New Hampshire’s Lake Winnepesaukee) and the “Ticonderoga”, the landlocked centerpiece of the Shelburne Museum, having been brought up from the lake on a specially constructed rail bed. Shelburne today supports a wide variety of businesses, from manufacturers and retailers to Vermont’s largest retirement community, including some of the more popular Vermont attractions: the Vermont Teddy Bear Company, Shelburne Farms and the best historical museum in New England, the Shelburne Museum. The former estate of Dr. Seward Webb and his wife Lila (Vanderbilt). Built around the end of the nineteenth century on the shores of scenic Lake Champlain, this lavish estate features a 110-room summer “cottage,” a five story barn with a two acre courtyard and the coach barn, which once served as home for the Webb’s prized horses. 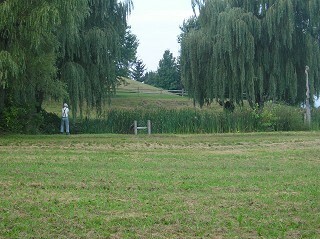 Activities include hayrides and a walking trail. Tours available daily from Memorial Day through mid-October; closed holidays. Also to be experienced here are open-air theatrical productions and orchestral performances in summer and the Harvest Festival in Fall. Located on Harbor and Bay roads. 802-985-8686. 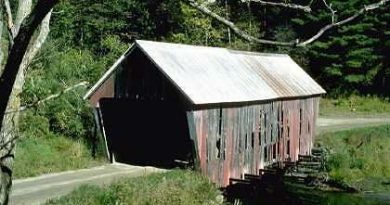 A living museum of Vermont’s rural and transportation heritage, the Shelburne is an active historical museum. Exhibits include full-scale lighthouse that once protected ships from running aground off Lake Champlain; the last vertical beam sidewheel steamboat intact in the US, the “Ticonderoga”; a round barn; a horseshoe-shaped barn; a railroad station with steam train static display of the last remaining Central Vermont Railway steam locomotive coupled to the last remaining Central Vermont Railway President’s car; a one room schoolhouse; a Vermont general store; the only two-lane covered bridge with footpath in the state of Vermont; free parking and much more. Daily activities include demonstrations of skills such as printing, blacksmithing and weaving. Open daily late May to late October; limited hours for the rest of the year. Moderate admission. Located in the village. 802-985-3346. Historic The Shelburne Hotel Atlantic City New Jersey Room Key Fob Hvy Brass 3"